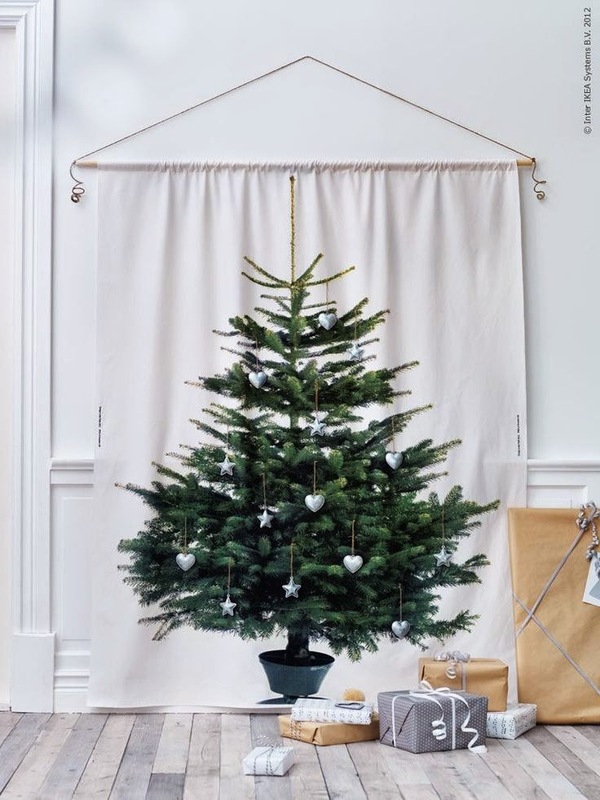 Maybe you don't have the space for a traditional tree. 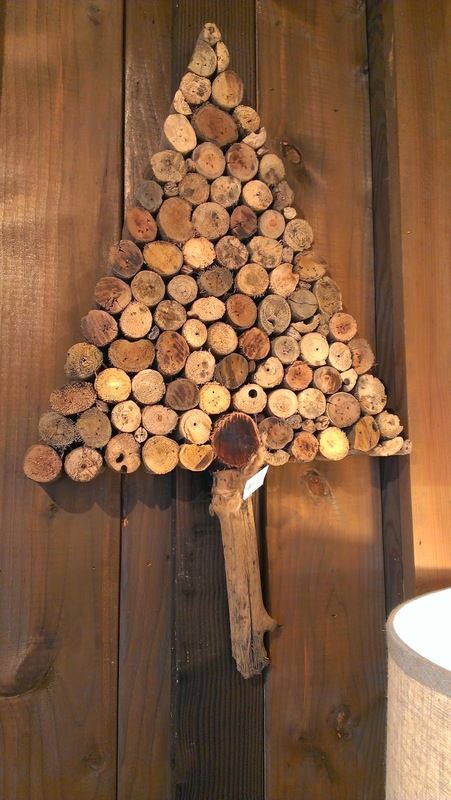 Or maybe you want a different kind of tree to add some cheer to another room or space. Here are a few simple, space-saving ideas! 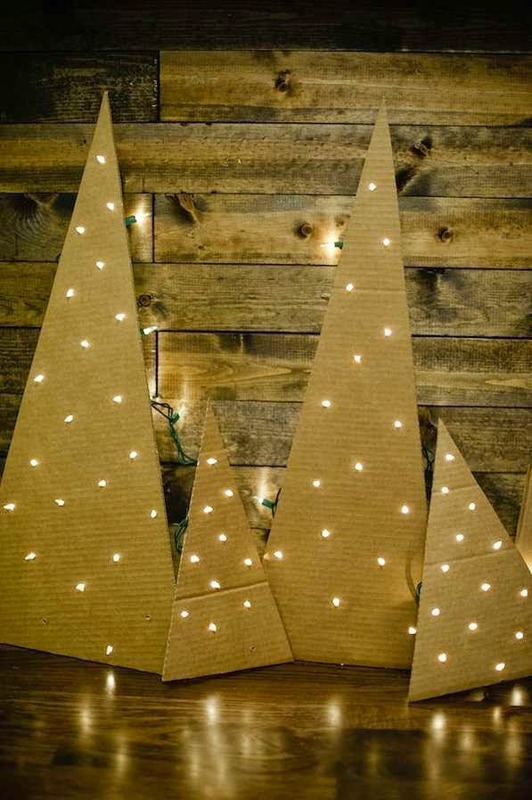 First up, mod cardboard trees with lights. Who knew this would result in such a playful look? (Particularly when grouped like a mini tree family). 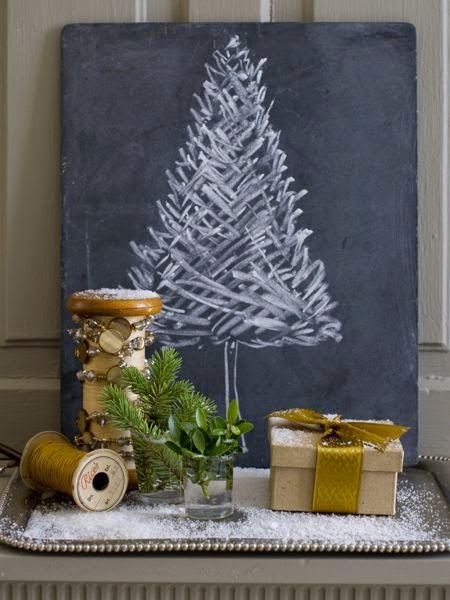 Another tried and true option: getting artistic with chalk. You can't really mess up on this one. This one cracks me up. It's IKEA's Margareta fabric and many bloggers have used it this way (hanging on a rod) while others have actually stretched it across large canvases for a more neat and tidy effect. Either way - what a cool idea and great visual. Wooden "tree cookie" trees seem to be on trend right now as well. This one is sold at Haley's Cottage on Park Lane. 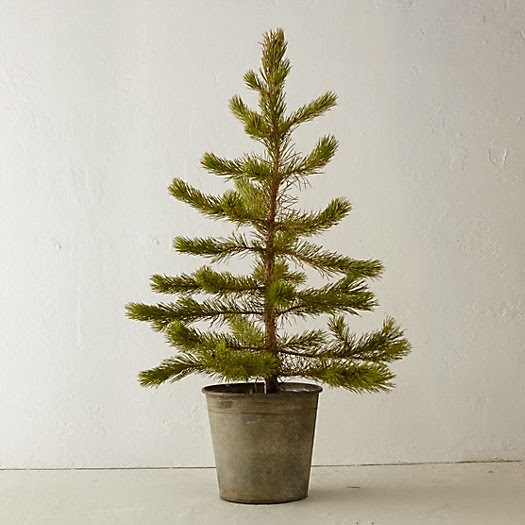 Maybe you're not such a tree person or appreciate more off-beat decor. 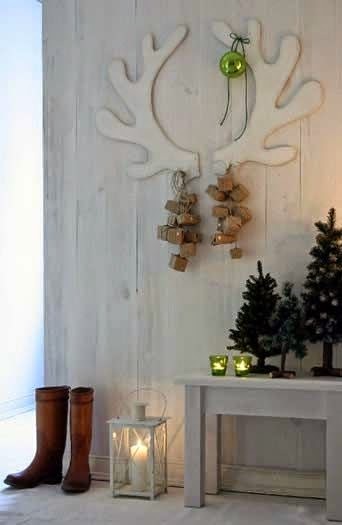 If so, you might like to try something like this - giant antlers in your entry way!